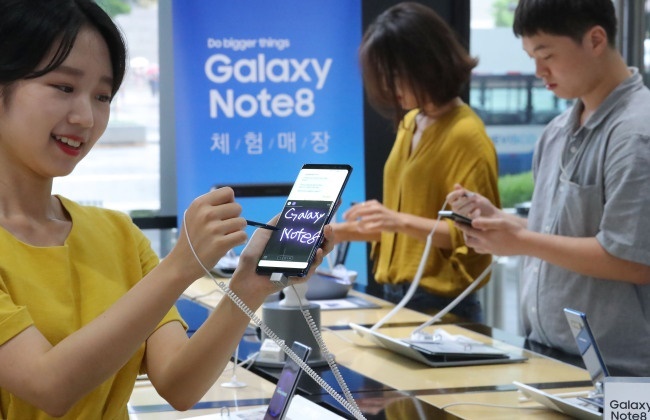 SEOUL, Sept. 19 (Korea Bizwire) – The South Korean government has warned one of the country’s major mobile networks over its alleged subsidies to boost sales of Samsung’s latest smartphone, the Galaxy Note 8, a marketing practice prohibited under current legislation. According to the Korea Communications Commission on Monday, the government branch which controls mobile phone prices and bills gave a formal warning to one of the major mobile providers to put a halt to alleged subsidies offered to customers after signs of market overheating were observed last weekend. For the Galaxy Note 8, a subsidy of 330,000 won is permitted for mobile providers to limit up-front costs for expensive high-end smartphones, and make purchases more appealing to consumers. 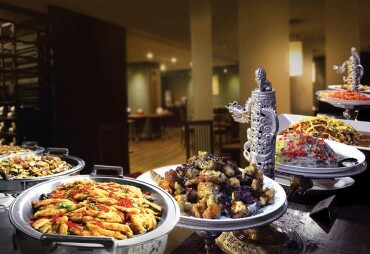 However, it has been noted through monitoring that some stores have offered more than they were allowed to, which communications authorities believe is a practice that can potentially cause market instability. It has yet to be revealed which mobile provider allegedly used illegal subsidies as a marketing ploy to attract customers to the Galaxy Note 8. “Over the last weekend, the smartphone market overheated temporarily, and we have sent a formal warning to one of the mobile providers responsible for the situation,” an official at the Korea Communications Commission said. However, the official added additional measures have been singled out for now given the level of severity of the situation, in comparison to when the Galaxy S8 was released during the spring. The much-anticipated Galaxy Note 8 was released as Samsung’s latest flagship model earlier this month in South Korea, following the company’s established practice of releasing a large-screen ‘Note’ device later in the year after the standard model’s release. Last Friday, around 200,000 people received their pre-ordered Galaxy Note 8 devices, dropping to 70,000 on Saturday. The number of mobile phone holders who moved from one mobile provider to another and signed a new contract for the Galaxy Note 8 amounted to around 38,000 and 26,000, respectively, on the same days. As these figures are often used as indicators by industry experts to measure the popularity of smartphones, it’s remarkable that Samsung’s new flagship model passed the threshold of 24,000 two days in a row, except for Sunday when the data systems of mobile operators are closed.